Heritage Wake Forest is a planned community nestled in the rolling hills and forest that comprise a good part of North Carolina. The theme of this community is the outdoors. The developer’s love of hunting, fishing and camping shows itself throughout the community by framing every amenity with trees and grass. Begun in 2000 as a golf course community, Heritage Wake Forest currently has 30 residential neighborhoods with a wide variety of housing options. The golf course winds through most of the development like a river of green velvet which gives many residents the aesthetic benefits of a golf course without the expense of membership. This community is designed to be attractive to all age groups and is so appealing that many residents expect to stay a lifetime. Research Triangle Park, Raleigh Durham International Airport, several regional shopping malls and business centers are within a reasonable commute. Major medical centers in the area include Duke Medical, Rex Medical and Wake Med Hospital. 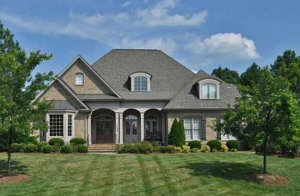 These facilities are a short driving distance from Heritage Wake Forest. Heritage Wake Forest boasts an 18 hole golf course, 3 swimming pools, over 120 miles of open space and 4 miles of green-way trails. Playgrounds are scattered throughout the community. Additionally, there is a community soccer complex and a fully stocked fishing pond with a pier. All homes are within a five-minute drive to one of several neighborhood shopping malls which have popular national grocers and a preferred upscale local grocer. Various fast food outlets, restaurants, day spas and other businesses are in each of the neighborhood shopping centers. Heritage High School is the public high school for Heritage Wake Forest and opened in 2010. As a new facility, it is equipped with modern classrooms and equipment. This beautiful new school is sited on a campus large enough for considerable expansion. There are many private schools nearby; however, most families are very happy with the public schools provided. Renowned colleges in the area include Duke University, University of North Carolina at Chapel Hill and North Carolina State University in Raleigh. Southeastern Baptist Theological Seminary is less than four miles from the center of Heritage Wake Forest. The North Campus of Wake Technical Community college is within a driving distance of five miles. A wide variety of plans and styles deliver plenty of options for those interested. Town homes range from $160,000 up to $240,000 and include both single story and multi-level homes. Single family detached homes range from $280,000 up to $600,000 for many different builders, elevations and floor plans. There are a few custom home sites still available with builders standing by. 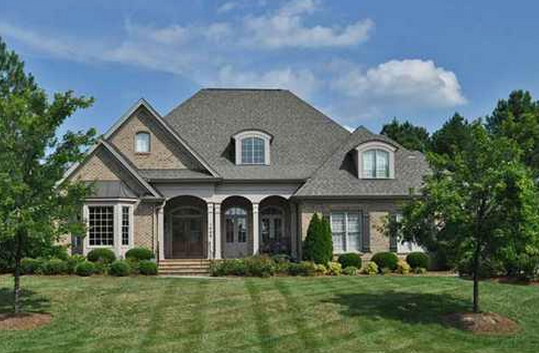 Custom-built homes on the Golf Course at Heritage Wake Forest start at $600,000.